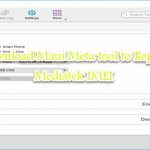 Download Sam Fix Tool: Are you battling with Samsung unknown baseband error? Sometimes we face the issue, and there will be very few of the tools which could address this issue, and Sam Fix tool puts you one step ahead of the crowd to get the problem fixed. The application is a simple to use, and along with fixing the baseband issue, it also helps you in removing FRP lock, rooting your Android phone, unlocking the bootloader and much more. So, get the tool from the description, and fix many issues using the same tool. What is Sam Fix Tool? Sam fix tool was developed to provide on click fix Samsung baseband issues, this was developed by the famed name of Android market, Murad Ft and Shafique Rahman Ayat, and all credits should go to them. The major focus of the tool was to provide the short and simple solution of Baseband error. And the tool gets this done completely, no other tool can make you get the error fixed in ten seconds. How to use Sam Fix Tool? This was the premium tool, and after spending some bucks, one had to get this tool. But later on, the tool was provided free of cost, now the tool is freeware, and can be distributed on the Internet. Still, some of the features of the tool are premium, but most of them are free of cost. You need to download it from the given description and install it on your computer. Beware, must turn off your anti-virus before installing this on your computer, otherwise, the tool would not be installed in your computer. And launch it on your computer; connect the phone using a data cable. The simple interface of the application is a nice catch, with a different section; you can get the job done. Tap on the baseband if you want to get the issue resolved of your phone. The flasher tool helps you to find the custom ROM files and flashing them on your phone with just a few clicks. FRP lock removing is also considered one of the most used features of the tool, and finally, baseband downloaded more. So, hit on any of the taps and get your problem solved in a matter of seconds. And for those who were facing issues in enabling USB storage, that tool can also address that issue as well. And finally the rooting of the phone, with just one click you will get your phone rooted. Sam fix tool is top-notch on fixing unknown Samsung Baseband issue. With just a few clicks of your finger, you will get your phone working fine. Root your Android phone, getsSuper User option enabled on your phone. Unlock the bootloader of the phone. Remove the FRP lock of the phone. Install flashing files on your phone, custom ROM files using the flasher option of the tool. Same Fix tool is a freeware application; one can get it free of cost. 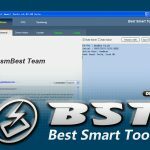 Download Sam Fix Tool from the given download link, and install it on your computer, to fix many issues of your Samsung phone.